Home » How to remove » Adware » How to remove Mobnootiffy.com? 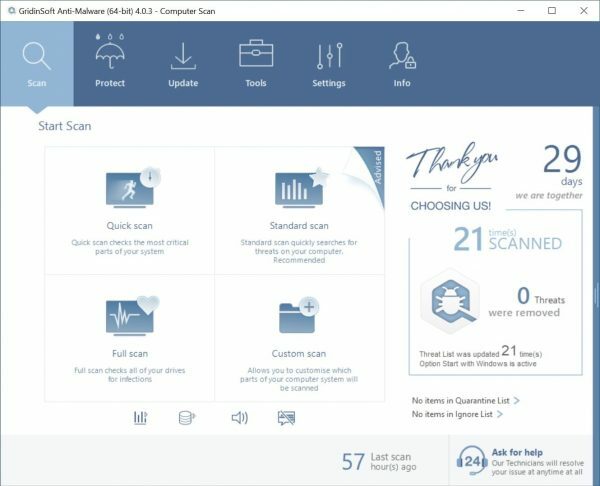 Adware may get installed on your computer or phone one day and start opening new tabs on your browser periodically, loading Mobnootiffy.com and other unwanted sites. Mobnootiffy.com wants users to click or tap “Allow” button on a little pop-up box. Doing that will enable the site to send notifications to these users’ browsers. Notifications are small pop-ups that appear on the right side of the screen (or on the center of the screen if it’s a mobile phone) with some information from the site. Mobnootiffy.com notifications prompt users to go visit suspicious sites, make bets in online casinos, join dating websites, etc. This step-by-step guide will help you to uninstall the adware and remove Mobnootiffy.com pop-ups and notifications from your browser. How to get rid of “Mobnootiffy.com” automatically? You can also try to remove Mobnootiffy.com by hand using the following instructions. Tips to remove Mobnootiffy.com manually from your PC. Windows 8/10: Right-click on Start – Quick Access Menu – Control Panel – Uninstall a program. You may check the list of applications and utilities installed on your PC. Find suspicious software that may cause Mobnootiffy.com problem, then right-click on it and select “Uninstall“. Windows 7: Click on Start – Control Panel – Uninstall a program. Check the list of programs and software available in your PC that might cause Mobnootiffy.com problem, then press “Uninstall“. Windows XP: Click on Start – Control Panel – Add/Remove Programs. You will find the list of available programs in your PC. Right-click on suspicious software that may cause Mobnootiffy.com problem and select “Uninstall“.